It’s December, and NYC hasn’t seen an inch of snowfall yet. As a matter of fact, I’m typing this in a tank and leggings. Like, it’s warm outside. I do like the snow, and do miss it just a little bit. It’s really pretty when it first falls. 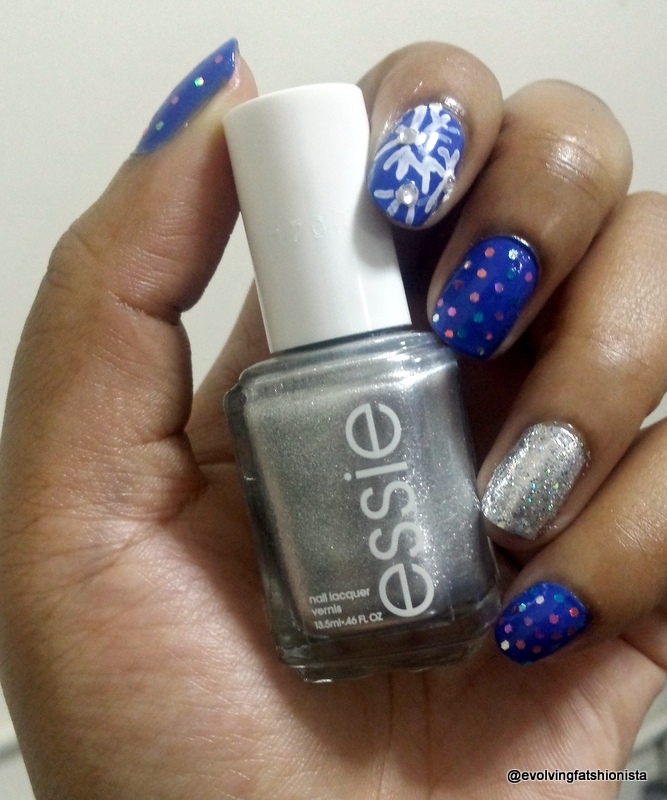 Anyway, I figured, in homage to the upcoming non-white Christmas, I’d do my own sparkly version on my nails. Glitter and sequins and rhinestones, oh, my! This manicure took me a little longer than usual (about two hours vs my usual 45 minutes), but I am so excited about it, y’all! I’m like a magpie; I am attracted to all things glittery and sparkly. As I type this, I am having a hard time keeping my eyes on the screen and not my hands because each finger catches the light at my desk. The rundown: the blue is Essie’s Butler Please, the ring fingers are two colors layered: silver is Essie’s Apres-Chic (pictured) with OPI’s In True Stefani Fashion on top. The glitter is by Essence, and I applied each piece one at a time with an orange stick. This would be the longest part, but it was so worth it because I like my chunky glitter to be even. 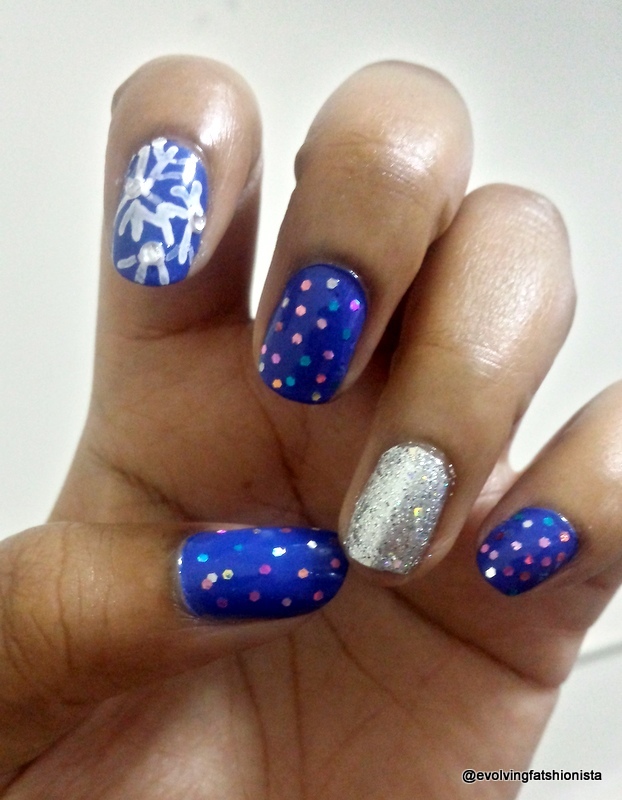 Pointer finger has a rhinestone at the center of the snowflakes, which I used a Sally Hansen nail art pen for. They didn’t come out as perfect as I hoped, but the imperfection is perfect for me.